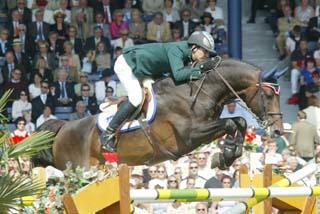 AliBoo Farm is pleased to add the stallion Patient Munny (Canturo x Clinton x Darco) to their breeding line. Photo courtesy of Muny Sunk Stables. Minooka, IL – January 6, 2016 – Dedicated to producing top U.S. bred horses, AliBoo Farm of Minooka, IL, and Muny Sunk Stables of Hendersonville, NC, recently made a trade of young stock that not only enhances their successful breeding and performance lines but also boosts the breeding stock for the United States. 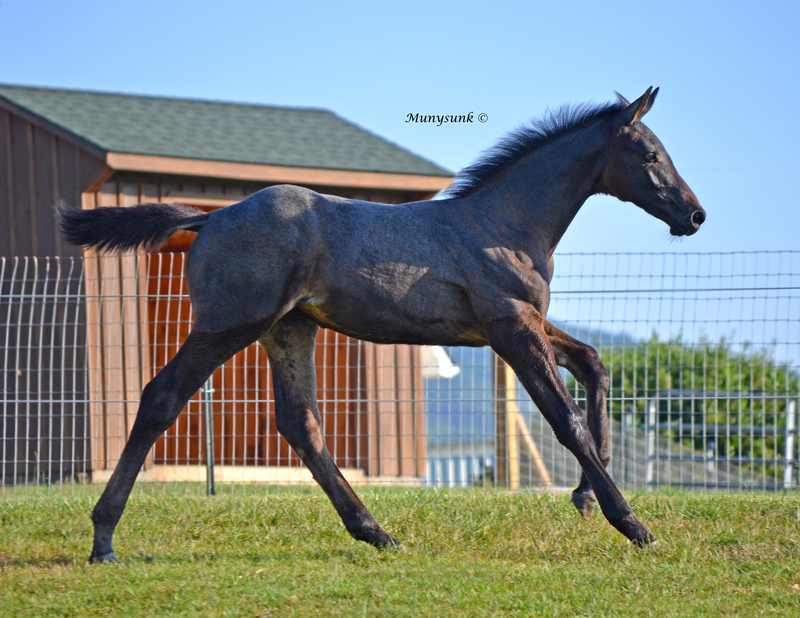 AliBoo Farm is pleased to announce the addition of Patient Munny (Canturo x Clinton x Darco), a 2015 BWP weanling to be brought up by AliBoo Farm as a stallion and top performance prospect. The weanling was acquired as part of a trade with Muny Sunk Stables in an effort for breeders to work together to strengthen each other’s breeding lines and by doing so, dramatically elevate the quality of stock available in the U.S.
Muny Sunk Stables received the mare Nevada van het Kunselhof (Vigo d’Arsouilles x Darco x Contender) from AliBoo Farm. Photo Andrew Ryback. In return, Muny Sunk Stables received from AliBoo Farm, Nevada van het Kunselhof (Vigo d’Arsouilles x Darco x Contender), a 2013 BWP mare that will be used for breeding and then put into sport. “Breeders supporting breeders is something we firmly believe in and are looking forward to producing more future champions," said Sarah Owen of Muny Sunk Stables, Inc. "I think it is very important that mares be equally promoted in breeding. Building a very good, but small band of mares is what I have really focused on for the last few years. Having Nevada as a part of that process is a very fortunate situation for me and Muny Sunk, just as I believe our colt, Patient Munny, will have a positive impact on AliBoo’s program." The AliBoo Farm Team has been keeping an eye on Canturo offspring for quite some time as he throws scope and technique necessary for upper level jumpers. Canturo is the sire of Irish Phenom Good Luck, ridden by Cian O’Connor, winner of the Live Oak Grand Prix this year among many other prestigious victories. Muny Sunk needed another well-bred and athletic broodmare. This was a case where the two breeders were able to work together for the benefit of the horses and in the interest of seeing them reach their full potential. 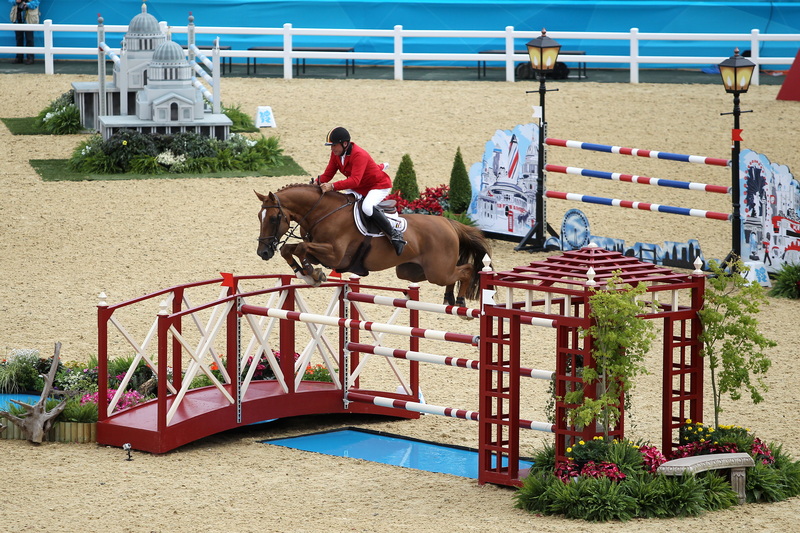 The mare, Nevada van het Kunselhof is by Vigo d’Arsouilles, who needs no introduction, as he was the winner of 2010 World Equestrian Games and is the sire of countless top performing offspring; Vagabond de la Pomme, Sandor de la Pomme and Super Trooper de Ness. Darco is one of the world’s most famous stallions at the moment with countless offspring performing at the highest levels; he throws big scope and bravery. Both of these young horses not only come from top breeding lines but also top performance lines and have very strong dam lines, which is important in breeding. The trade of the two young horses shows a growing co-operation of breeders truly interested in the development of young showjumping horses in the U.S.. Breeders along with USEF Young Jumper and Young Horse programs, are paving the way for the future of the industry. AliBoo Farm continues to be a leader in the development of young horses, with top of the line stallions for breeding with performance records that include wins at Devon and Young Horse Show Finals. Their program can assist you from consulting, to breeding, to developing young stock ready to move into the division of your choice. Make a smart investment and contact AliBoo Farm to find out more about their services and the quality horses they have for sale. 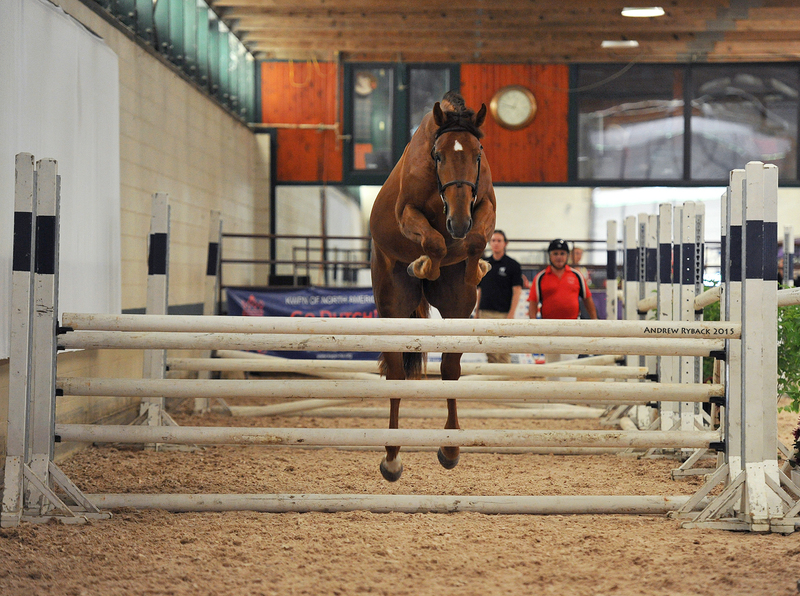 They offer training for young horses, breeding services and breeding consulting. Choose one of their quality stallions to breed to or ask them about foals in-uetero. For more information on AliBoo Farm please visit www.aliboofarm.com or contact them at info@aliboofarm.com or 815-475-4524.